Yep, we are those kind of girls, we get our hands dirty, we grill, and we use power tools. I have had it in mind for quite some time to make a growth chart of some type that is more than a door or piece for trim that is part of our house. We are not positive that this is our “forever” house and so I wanted to make a growth chart that was almost like a piece of art to hang on the wall that we could easily take with us if/when we move. 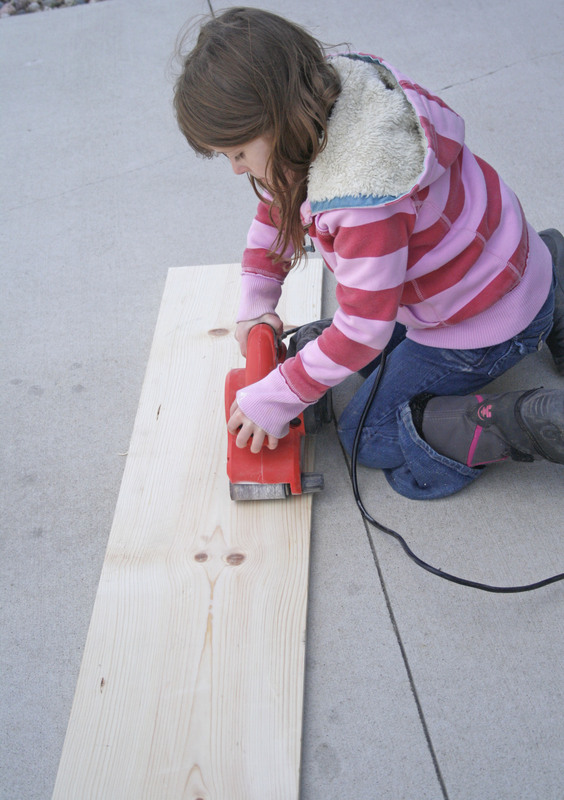 What better project than this for my 6 year old to help me with, we used a square and power saw to cut the board to the proper length…6 feet. Then I showed her briefly how to use the power wander and she went right to work, and did a great job. Now we are deciding on a color/pattern/look that we like. Below are some ideas that I like, I will post ours when we finish it! There are always cute one from Pottery Barn kids…..but I am sure I can beat the price with my DIY skills. You can check out our finished DIY growth chart here. @:Why not use a diaitgl recorder, or even the microphone on your computer, to just record whatever you want, edit it with the free Audacity audio editing program if you want, and upload it as an MP3 file. It’s so easy, why get involved with a company? But if you want the simply of using a phone, I can’t help you. I’m not familiar with those services. Sorry.